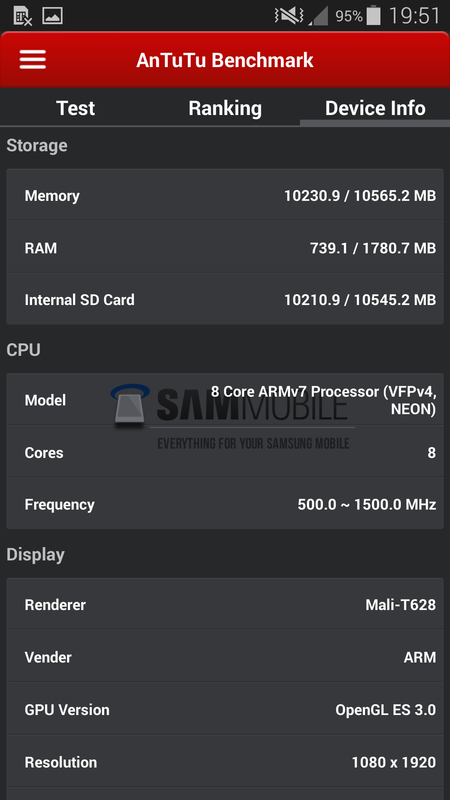 Today, SamMobile received Antutu benchmark and CPU-Z screenshots of Samsung’s upcoming Galaxy Alpha (SM-G850F) and European Galaxy S5 LTE-A (SM-G901F) devices. The Galaxy Alpha has been roaming around the rumour mill for quite some time now, and is most probably going legit tomorrow. 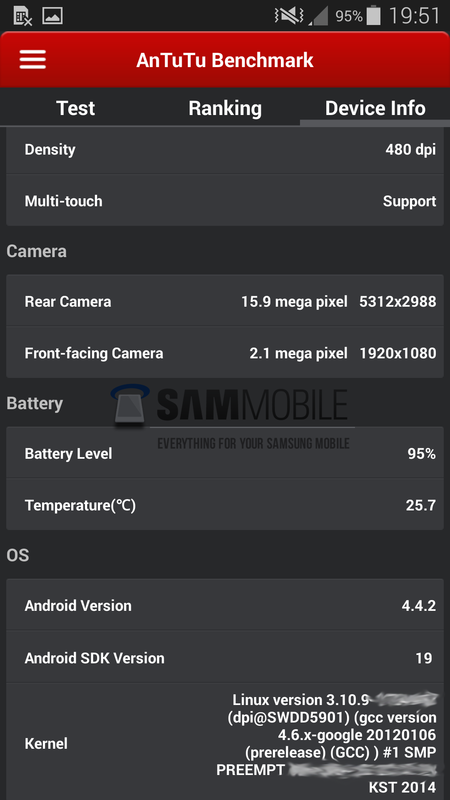 As exclusively leaked by SamMobile earlier, the Galaxy Alpha’s core, main device frame and sides, are made out of aluminium instead of plastic, while Samsung is using the the same perforated back panel as seen on the company’s flagship smartphone, Galaxy S5, and tablet, Galaxy Tab S. Alpha is the first device to use Samsung’s latest “new materials” strategy. 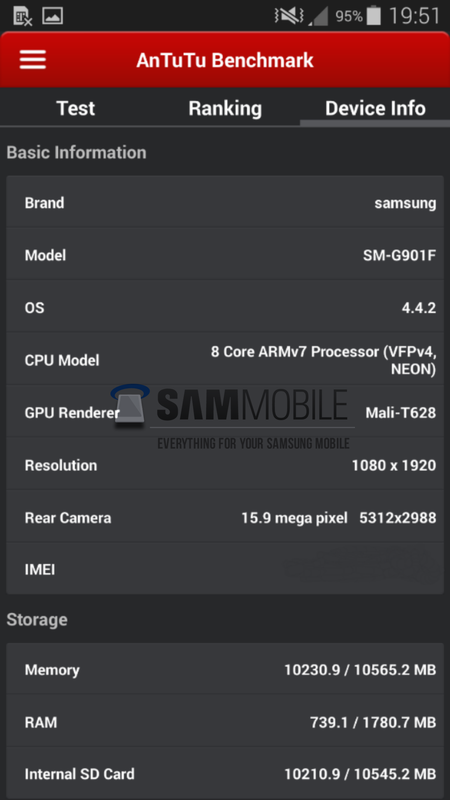 According to the Antutu benchmark and CPU-Z screenshots, the Galaxy Alpha packs a 4.8-inch HD (1280×720) Super AMOLED display, an Octa-core Exynos 5 (5430) SoC with ARM’s big.LITTLE technology; four Cortex-A15 cores and four Cortex-A7 cores; and heterogeneous multi-processing feature — enables use of all 8-cores at the same time, 6-core ARM Mali-T628 GPU with a clock speed of 533MHz, 2GB of 32-bit dual-channel 933 MHz LPDDR3e RAM, 12.0-Megapixel (4608×2592) camera sensor with 1080p Full HD video recording, and a 2.1-Megapixel (1920×1080) front facing camera. The device also features a fingerprint scanner and a heart-rate sensor, and our sources report that the device isn’t water and dust-resistant (IP67) as the Galaxy S5 and the Galaxy S5 Mini. The Galaxy Alpha comes with 32GB of internal storage, and for the first time ever, there is no user expandable storage as there isn’t a MicroSD card slot available on the device. In terms of connectivity, the Galaxy Alpha will offer WiFi 802.11ac support on top of the usual a/b/g/n, Wi-Fi Direct, DLNA, Wi-Fi hotspot, Bluetooth 4.0 LE / ANT+, GPS, GLONASS and an IR blaster is included for controlling your TV using Samsung’s WatchON service. MicroUSB 2.0 port for syncing and charging the device. Out of the box, the Alpha will run on Android 4.4.4 KitKat with Samsung’s latest Magazine UX. 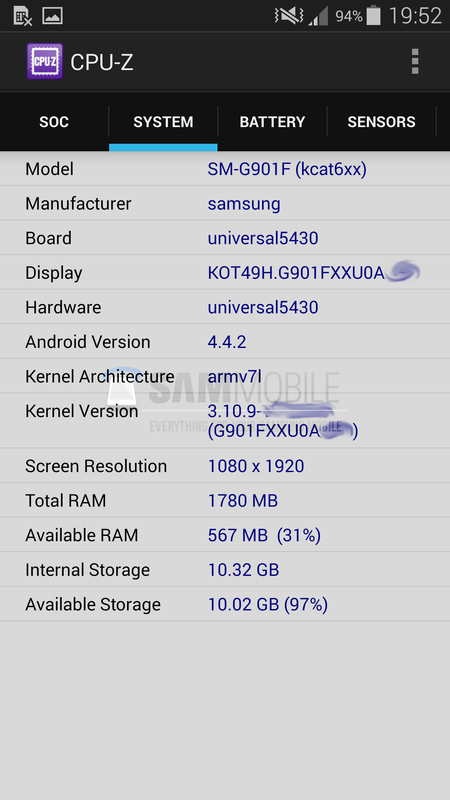 Now let’s talk about an upcoming Galaxy S5 variant, Galaxy S5 Broadband LTE-A (SM-G901F) — codenamed KCat6xx. You have probably heard about it already, but you really haven’t. 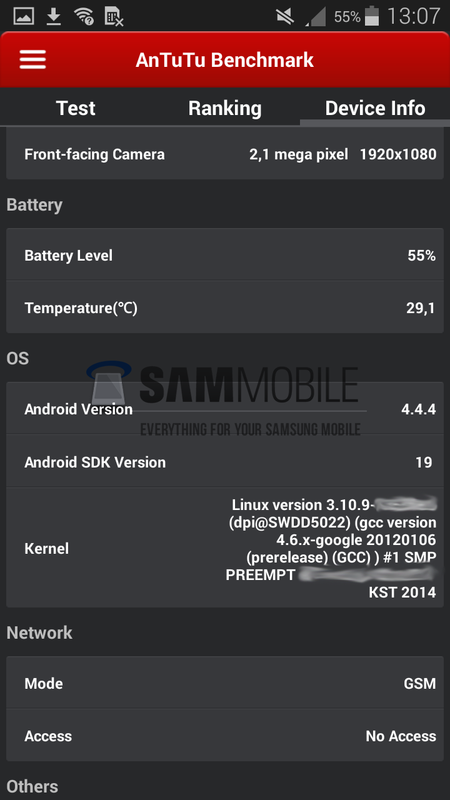 That’s the Korean Galaxy S5 Broadband LTE-A (SM-G906S/K/L) — codenamed lentislte — which supports Korean LTE bands only, while the LTE-A modem on the new device is optimised for the European market. The European variant is physically exactly the same as the Korean variant, while spec-wise it’s more similar to the standard Galaxy S5 (SM-G900F) than the Korean variant. 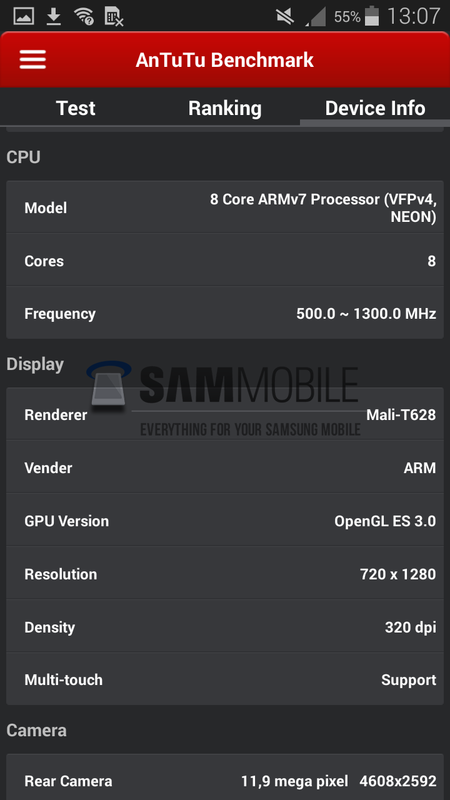 As you can see in the screenshots below, the European Galaxy S5 Broadband LTE-A sports an Exynos 5 Octa (5430) SoC — same as in the Galaxy Alpha, a 6-core ARM Mali-T628 GPU with a clock speed of 533MHz and an Intel LTE Cat6. modem. 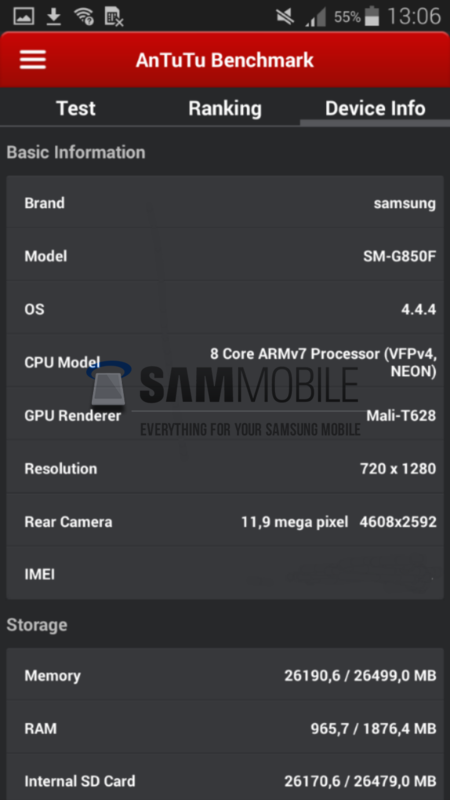 Rest of the specifications are exactly the same as the standard Galaxy S5 (SM-G900F), which includes a 5.1-inch FHD (1920×1080) Super AMOLED display, 2GB RAM, 16-Megapixel ISOCELL camera sensor, heart-rate sensor, fingerprint scanner and more. 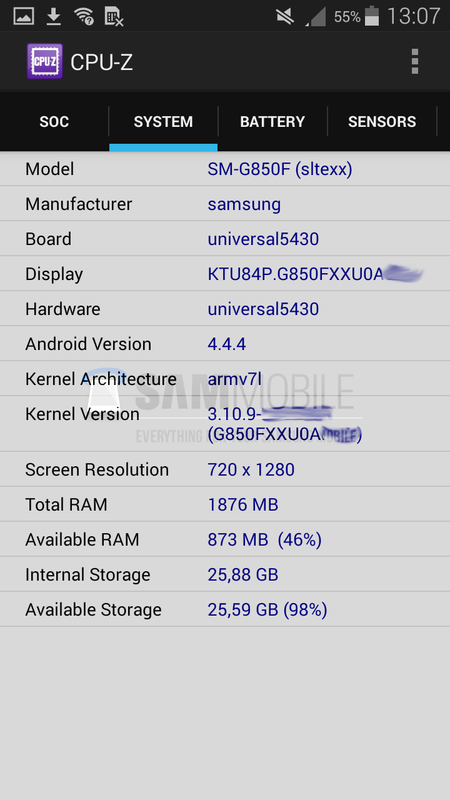 Our source didn’t tell us the exact release time frame of the European Galaxy S5 Broadband LTE-A, but we will keep you folks updated with any new information we receive. 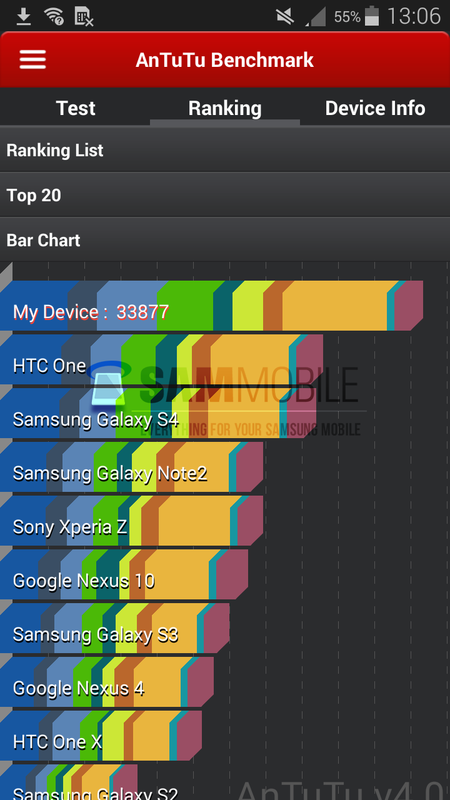 *Also, please note that the benchmarks were performed on test firmwares, scores may vary on final software. Fake . 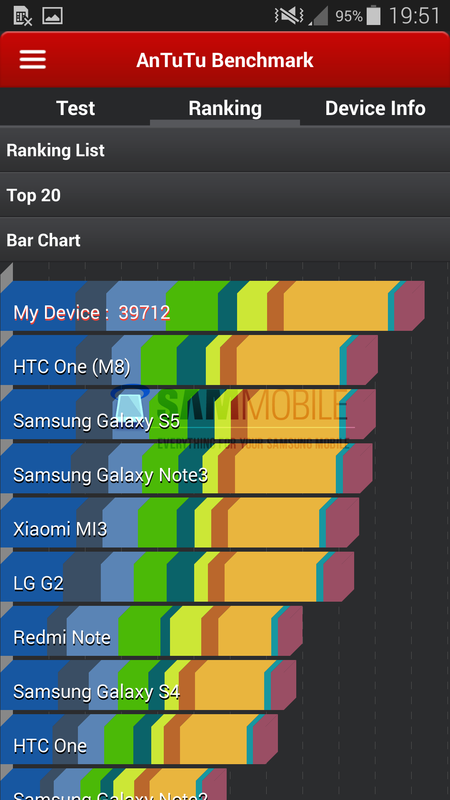 my G901F got 52127 on antutu benchmark. so… more then happy with it. 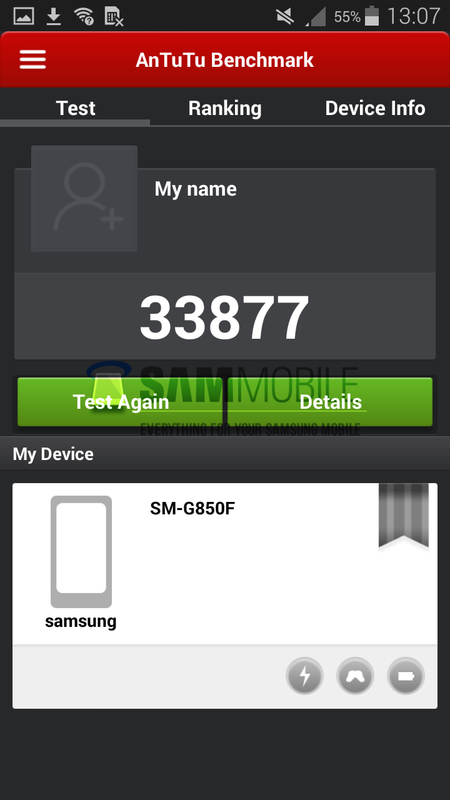 @Faryaab You mention that the SM-G901F has the Intel LTE. 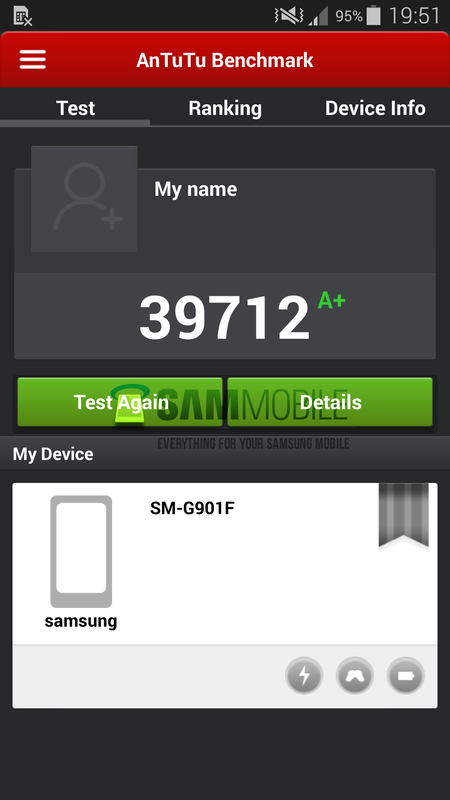 Can you confirm that the SM-G-850F also has the Intel LTE modem? 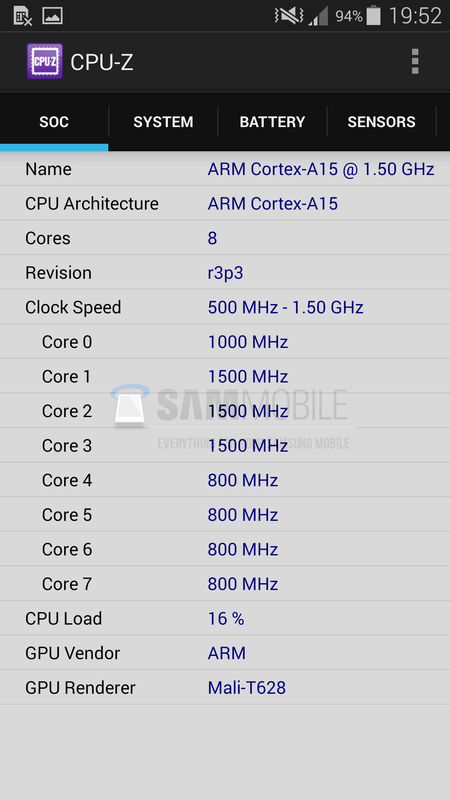 The A15 processor is faster than the snapdragon A9. And the pictures show the current speed of the processors, not the max. 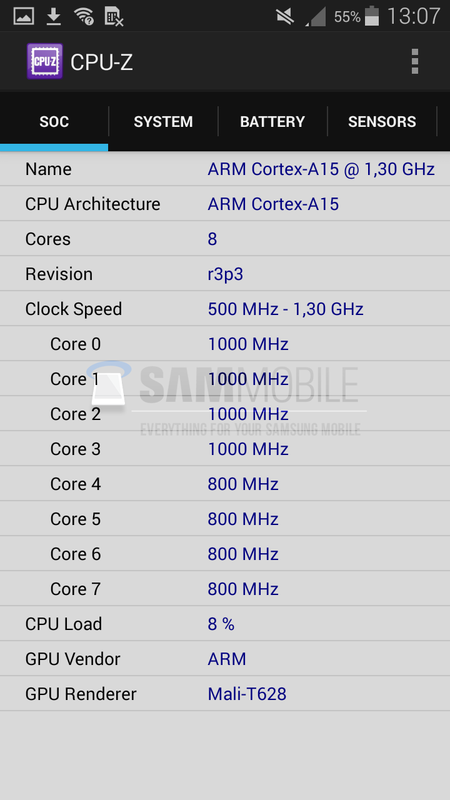 Notice how one of the cpus is at 1GH, 3 at 1.5 and 4 at 0.8?